King Abdullah University of Science and Technology, Bldg. 1, Rm 2113, Thuwal, 23955-6900, Saudi Arabia. 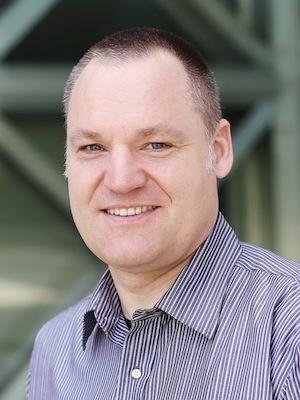 Degrees and Employment History: Diplom Informatiker, University of Erlangen (1995); M.Math (Computer Science), University of Waterloo (1996); PhD (with honours), University of Erlangen (1999); Research Associate, Max-Planck-Institute for Computer Science (1999-2000); Assistant Professor, UBC (2000-2004); Associate Professor, UBC (2004-2010); Dolby Research Chair in Computer Science, UBC (2008-2013); Full Professor, UBC (2010-2018); Professor and Center Director, KAUST (since 2014). Research Interests: my core research interests are in computational imaging and display, an emerging research area within visual computing, which combines methods from computer graphics, machine vision, imaging, inverse methods, optics and perception to develop new sensing and display technologies. Computational imaging is the hardware-software co-design of imaging devices, which aims to optically encode information about the real world in such a way that it can be captured by image sensors. The resulting images represent detailed information such as scene geometry, motion of solids and liquids, multi-spectral information, or high contrast (high dynamic range), which can then be computationally decoded using inverse methods, machine learning, and numerical optimization.